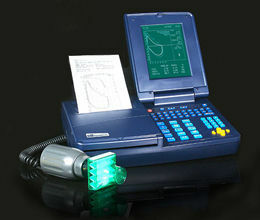 Everything you need for quality spirometry testing is right here...at an incredible value. It's lightweight and portable, with a high-resolution display. Testing is easy and accurate, with immediate results.